Despair is not an option. Neither is silence. 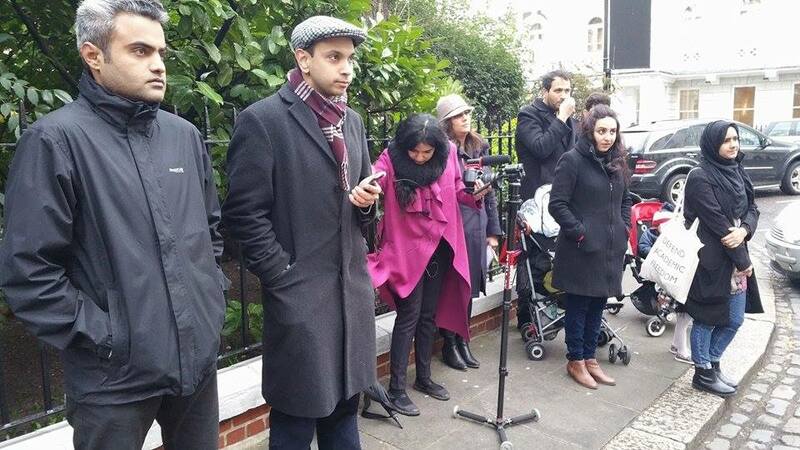 As I posted my last update about the third monthly Global Vigil of Pakistanis united against terrorism, March 15-16, 2015, to commemorate the Peshawar APS attack of Dec 16, 2014, news came in about the suicide attacks at two churches in Lahore – yet another horrible reminder of what happens when you keep snakes in your backyard and develop a culture of impunity. See my comment on the issue in Huffington Post, right after the Peshawar APS attack. It is a sign of the brutality and rage that engulfs Pakistan that a mob lynched, killed and burnt two men suspected of being co-conspirators in the attacks. Protest and condemnation of these atrocities and solidarity with Pakistan’s Christian community will be part of the Global Vigils starting today, in London (3 pm in front of the Pakistan High Commission) and various cities of the USA (details at my earlier blogpost). 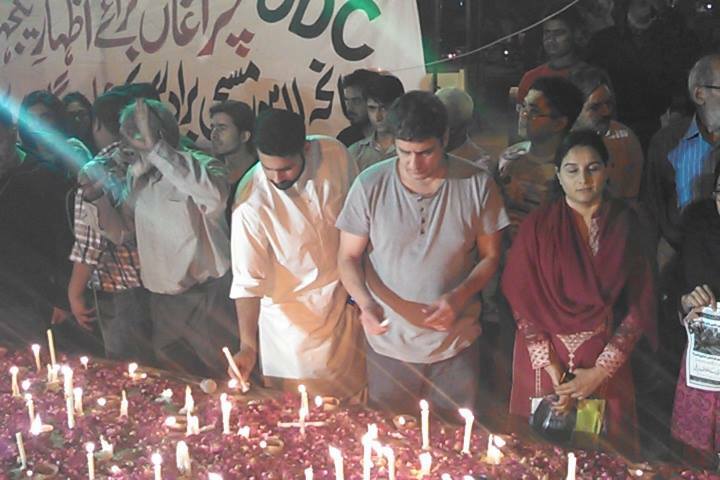 Activists in Pakistan preparing for the Global Vigils already planned for March 16. In Lahore, gathered in front of Lahore Press Club at 4 pm. In Karachi, they’re gathering now (8 pm) at Numaish. Pakistanis will keep protesting, the perpetrators will keep attacking. The strength of the civil society activists trying to counter them lies not in protests (though those are important) but in counter-narrative building, legal actions, pushing for rule of law, accountability and so on. Of course the media will continue to give the terrorists front page headline space for their atrocities; ordinary citizens’ peaceful protests are not ‘newsworthy’. Pakistan’s political and security establishments MUST discard the unstated policy that allows Takfir (declaring someone a non-Muslim), and the culture of impunity that allows attacks on non-mainstream Pakistanis to go unpunished. Pakistani subjugation to Taliban = very depairing because for those who live here every single aspect of life is overshadowed by it, and one is in a perpetual state of mourning. Then what to do? I don’t understand is the world’s defending power and security are that weak that they can’t corner them or wash them away for ever ? Why we are so helpless why our tears our feeling don’t effect them? Why the world is getting so colder? Why they aren’t doing anything why are they just silent and watching only? Why they get active only after such incidents just give their so called political statements but nothing ? Why our softness and peaceful voices won’t change their mind? Why love getting weaker? Why every where is just blood and pain scattered like orphan everywhere why there is hatters and revenge and anger and violence why there is laughter the each time we cry? Why smiles more visible then sad weeping faces why the devil getting more powerful but the Angels are numb and stunned?